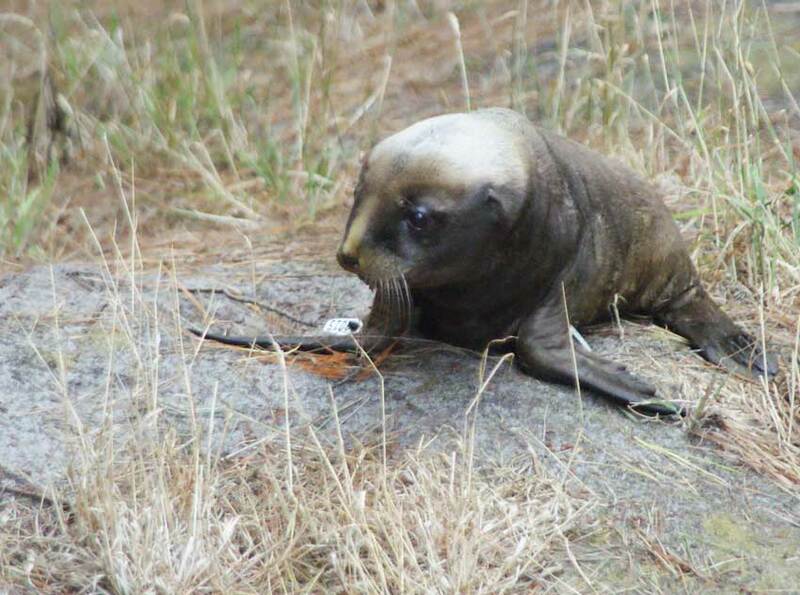 The case of a curious New Zealand sea lion that decided to swim some laps at a Dunedin public pool in the weekend. 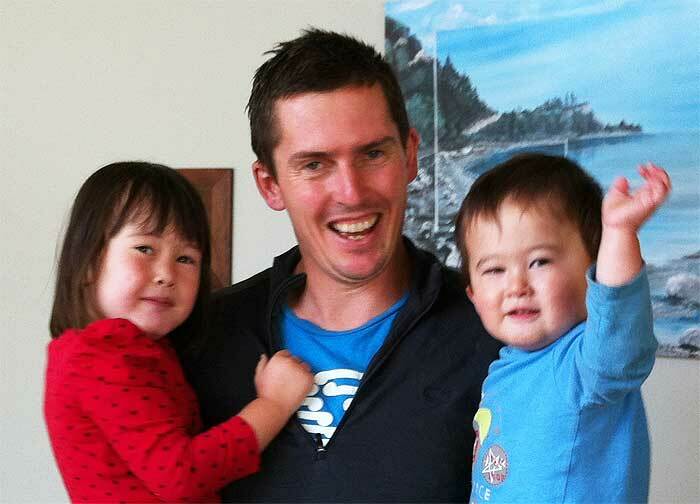 Today we profile Clayson Howell, a Science Advisor at DOC’s National Office. Conduct research and provide advice on weed ecology and control, especially wilding conifers. At the moment I’m working on understanding native succession under pine trees, better ways to kill wilding pines, and a GPS unit that records the location and volume of herbicide applied. 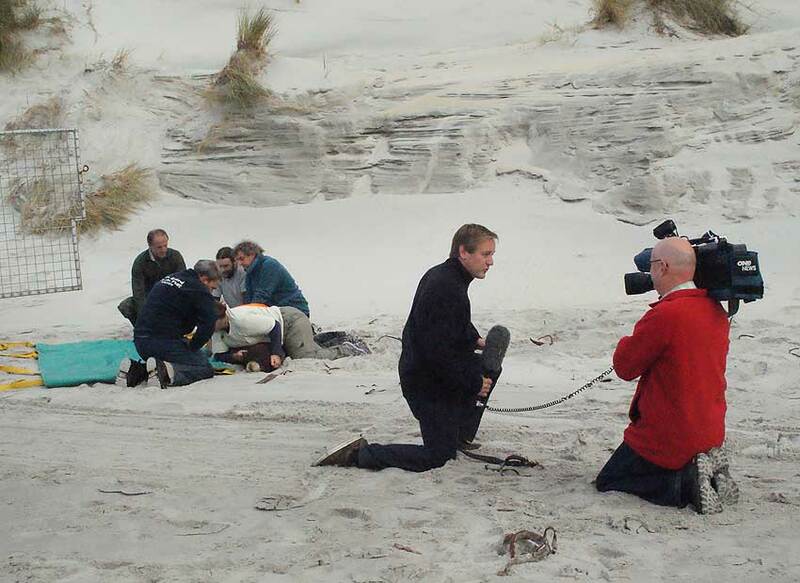 Dragging a sea lion corpse through the surf on a short-leash at Enderby Island. The remaining males were fighting over it and the vet and I were trying to do an autopsy. 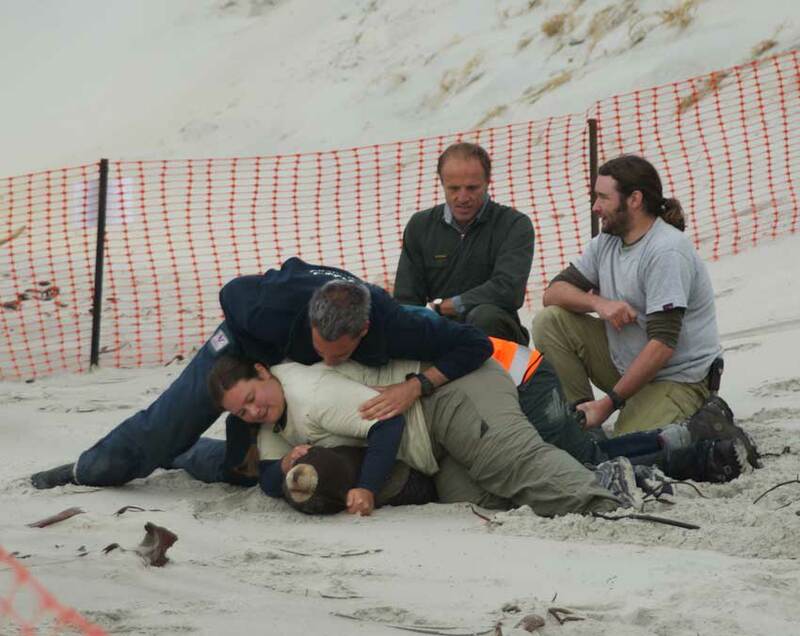 We later figured out the cause of death was likely to be trauma after a shark attack. I then witnessed the shark eat another sea lion in very shallow water. My short 0:35 sec clip (below) now has quarter of a million hits. My apologies for the voice-over, I’m no David Attenborough! Not one person, but the people that make up the New Zealand Ecological Society. Collectively they are a wonderful bunch of clever, articulate and passionate New Zealanders who love telling stories about the amazing ecology of Aotearoa. This includes many current, former, and I hope future DOC staff. Mckee Reserve in Ruby Bay, Nelson. A beautiful patch of remnant lowland bush that was literally over the back fence of my family home since I was six. It is the only significant piece of native bush between Nelson and the Abel Tasman. It contains several large matai trees and the biggest lancewood I’ve ever seen. Cram in as many activities as possible. Lately this involves looking after my two kids on Fridays, as well as gardening, freediving, brewing beer and playing football. Before the kids came along I did a fair bit of rock climbing and tramping, which I hope to crank back up in the next few years. Mycophagy. It sounds dodgy, but it isn’t. 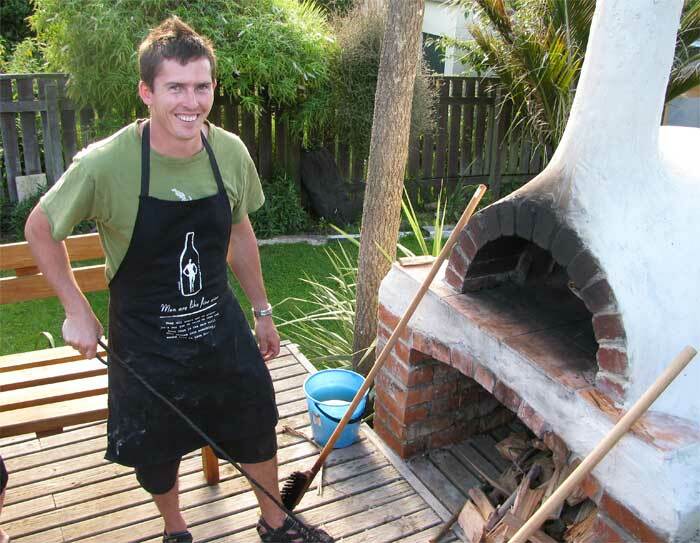 My not so secret indulgence is making and eating pizza in the oven I built. 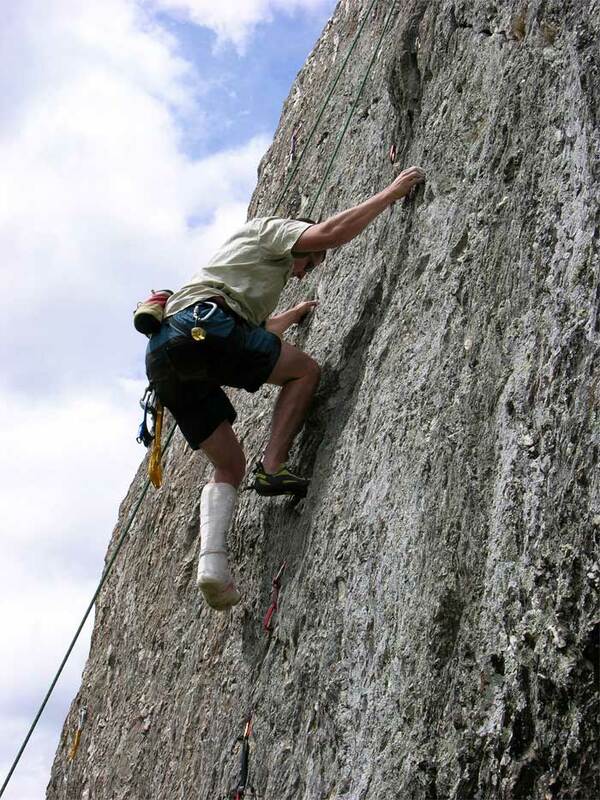 I climbed a rock called tombstone (Matukituki) in a plaster cast after I broke my ankle on the first day of a climbing trip. 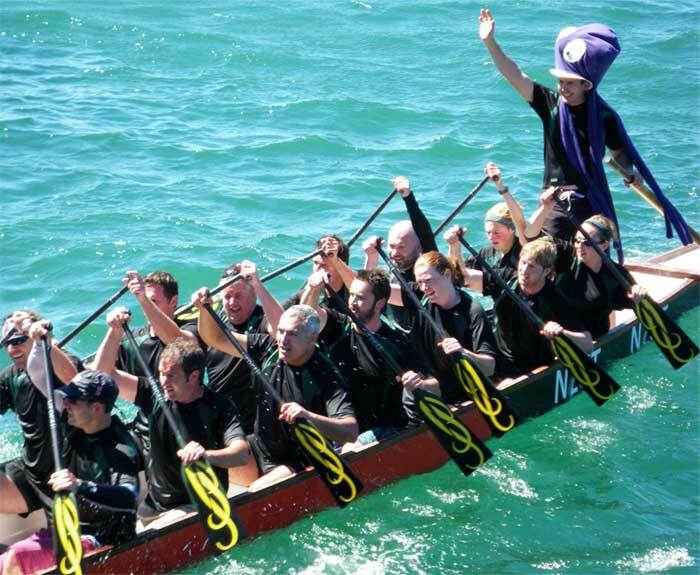 Or possibly when I steered the DOC dragon boat to victory in the social grand-final. “The fundamental cause of trouble in the world is that the stupid are cocksure while the intelligent are full of doubt.” – Bertrand Russell. People who form opinions and change their minds based on data, not pre-conceived ideas or faith. Spend time outside, weed your garden, don’t be afraid to use herbicide carefully, support research to find ways of doing things better. 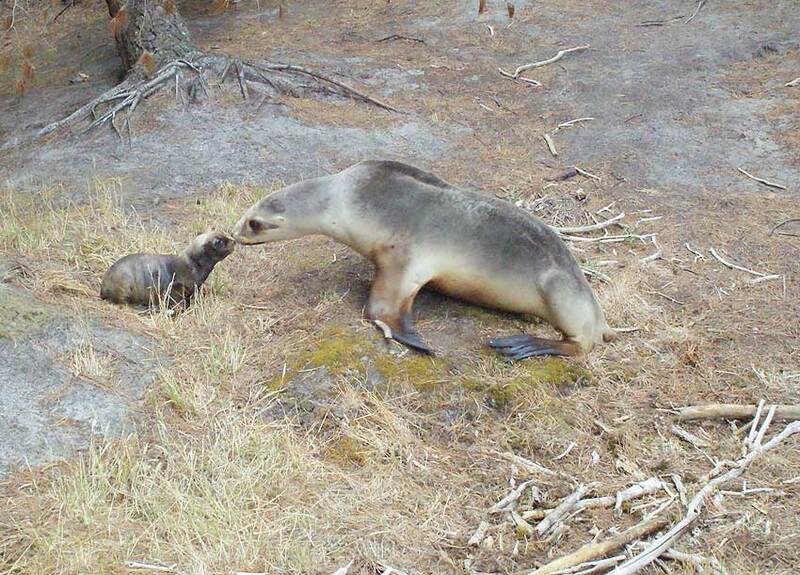 Last week sea lion mum Gem decided to have her first pup on Tomahawk Beach, a busy Dunedin beach popular with dog walkers. 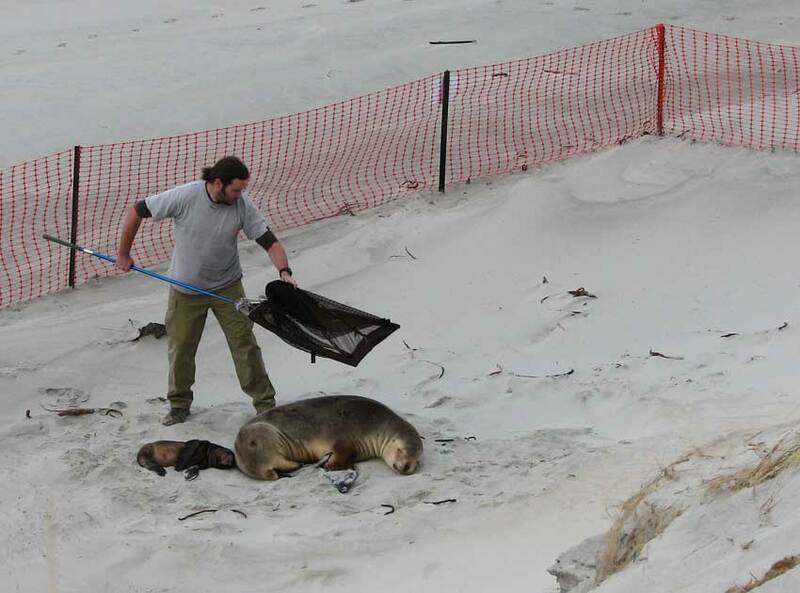 Female sea lions are sandy coloured and can be difficult to see on the beach, so DOC erected a fence around the pair to stop unsuspecting dog walkers getting a surprise. Keen volunteers from the local Tomahawk Smails Beach Care Trust, the New Zealand Sea Lion Trust, the Yellow-eyed Penguin Trust and DOC, kept an eye on Gem and the pup, providing visitors with information about the New Zealand sea lion and advice on keeping dogs under control. Staff knew that Gem would get hungry and head out to sea leaving her young pup alone and vulnerable. The unanimous decision was made to move the pair to a safer, quieter location. The transfer team assembled early in the morning at Tomahawk Beach on Friday 20 January. 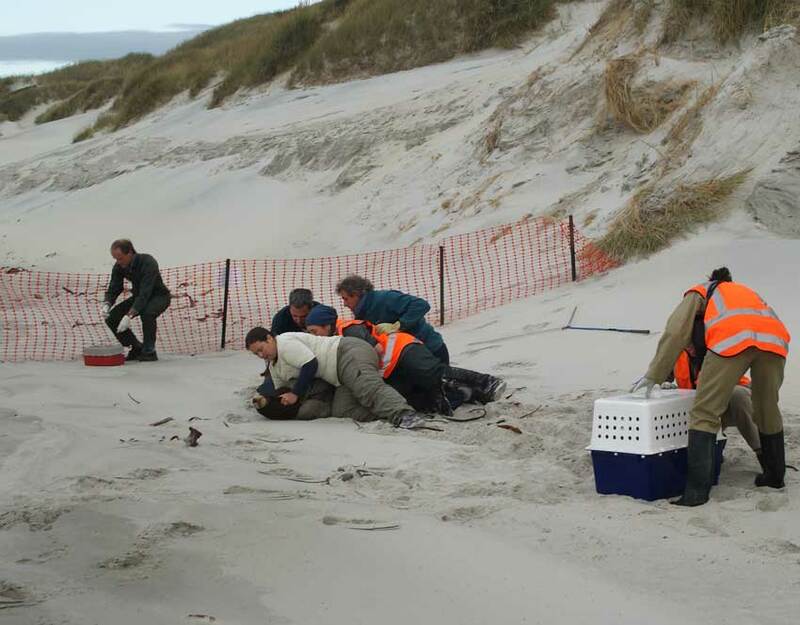 DOC staff from Coastal Otago, Otago University researchers, Nathan McNally and Amélie Augé, New Zealand Sea Lion Trust members, Stevi Broni and Shaun MacConkey, local vet, Tony Malthus, and Yellow-eyed Penguin Trust ranger, Leith Thomson, were all part of the team. We also had Brian McKay on hand with a 4wd – the last thing we needed was to get the DOC trucks stuck on the sand with TV crews filming. The plan was to sneak up on Gem while she was asleep. 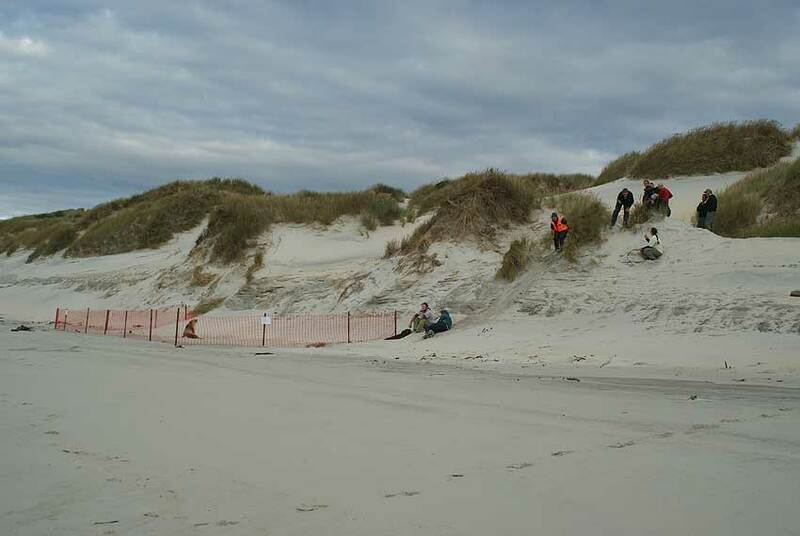 When we arrived she was awake so the team had to loiter in the dunes, trying to look casual, for about 20 mins. Finally Gem put her head down for a nap. Nathan sprang into action with the net and the wranglers moved in. Once Amélie had control of the head (that’s the part with the sharp teeth) the others jumped on. It took four people to restrain Gem while local vet Tony Malthus prepared the sedative. The pup was easily picked up and put into a cage. After the sedative was administered the team waited for Gem to settle down. After 5 minutes it was obvious the dose wasn’t enough. Gem was feisty and wasn’t having any of it, so vet Tony administered another one, and the wait continued. 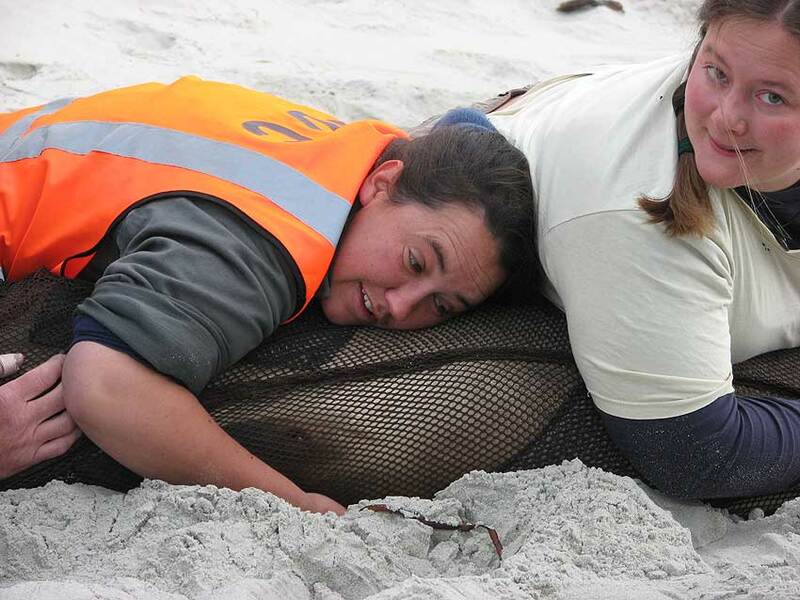 DOC ranger Mel Young and Otago University researcher Amélie Augé jump at any chance they can get to cuddle a sea lion. “They smell of a fresh beach towel,” says Mel. The media were there catching all the action. 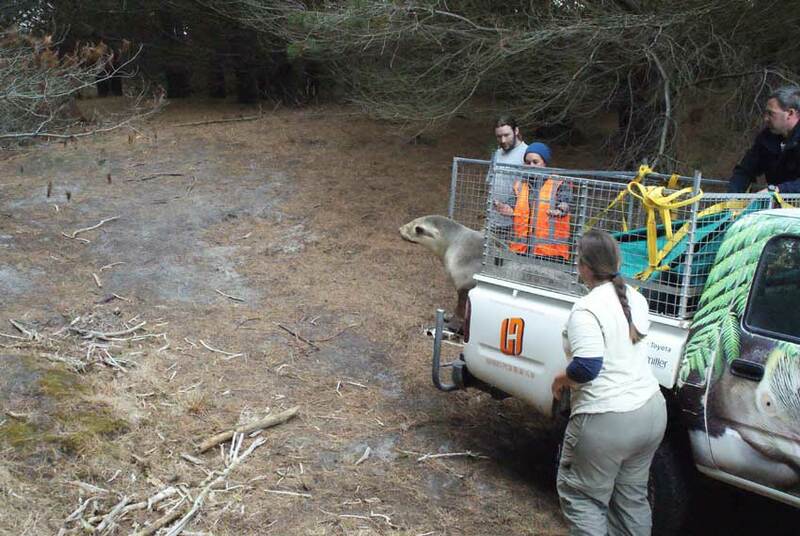 It took all of our strength to lift 110kg Gem onto the back of the Yellow-eyed Penguin Trust vehicle and then we were off to the new secret location. 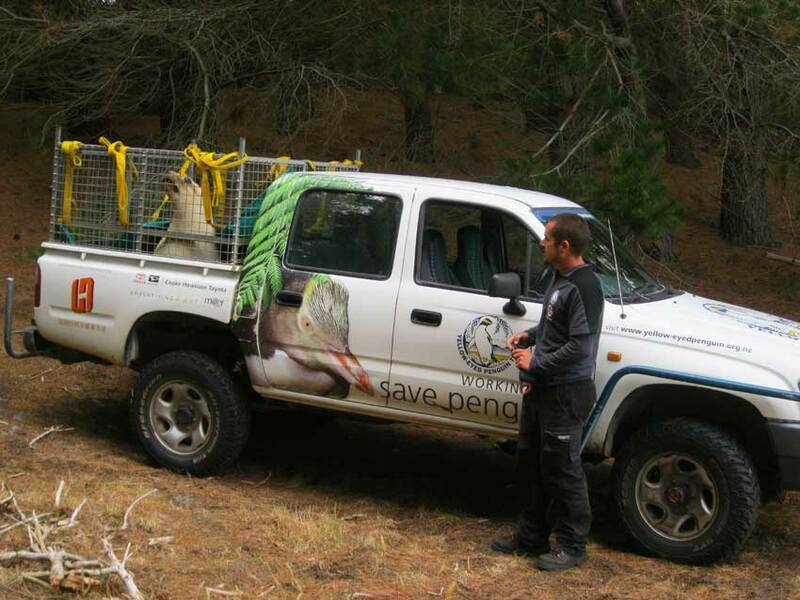 By the time we arrived at the release site Gem was wide awake and pretty keen to get off the back of the Yellow-eyed Penguin Trust vehicle. 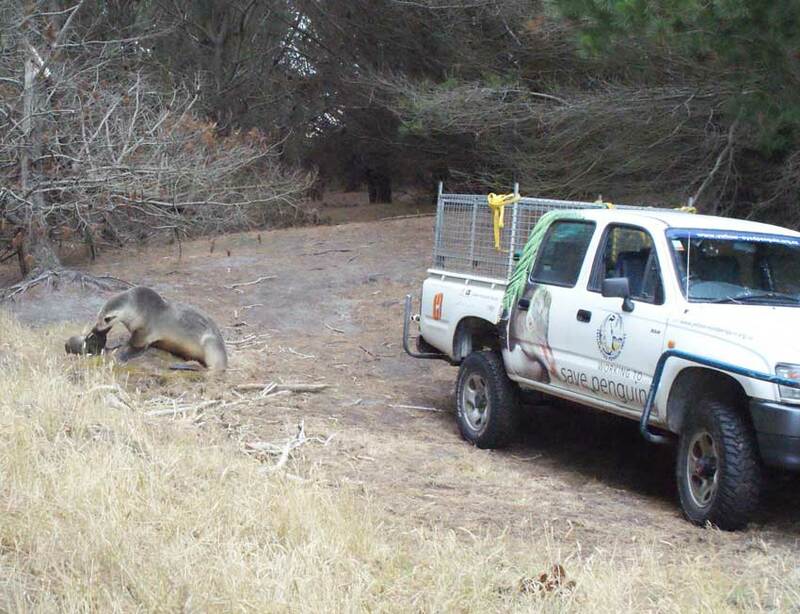 The pup was tagged (number 9015), weighed (10kg) and a DNA sample was taken. Amanda did the honours and carried the pup to her new home. Feeling the good old earth beneath her flippers. Gem heads straight to her pup. Gem and pup ‘9015’ remained very close to the point of their release for three days. On the fourth day, Gem finally got hungry enough to head out to the sea. 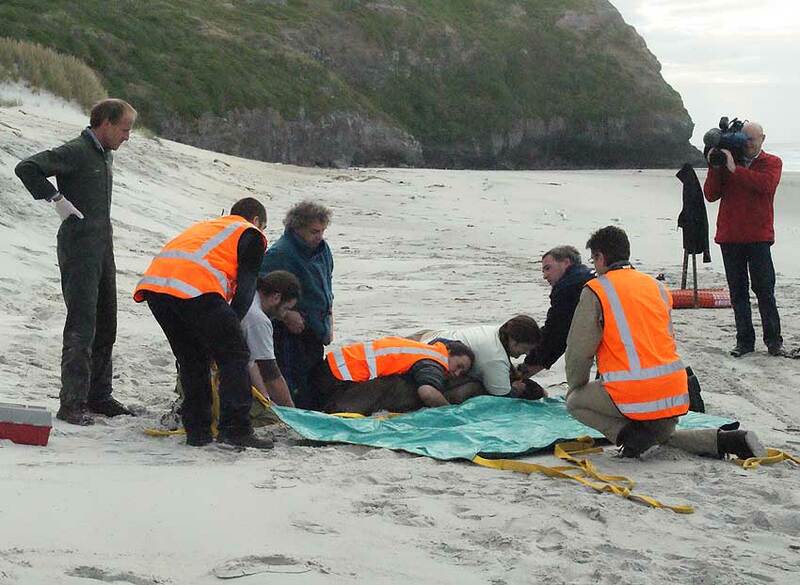 In January 2002 another sea lion translocation was completed successfully. 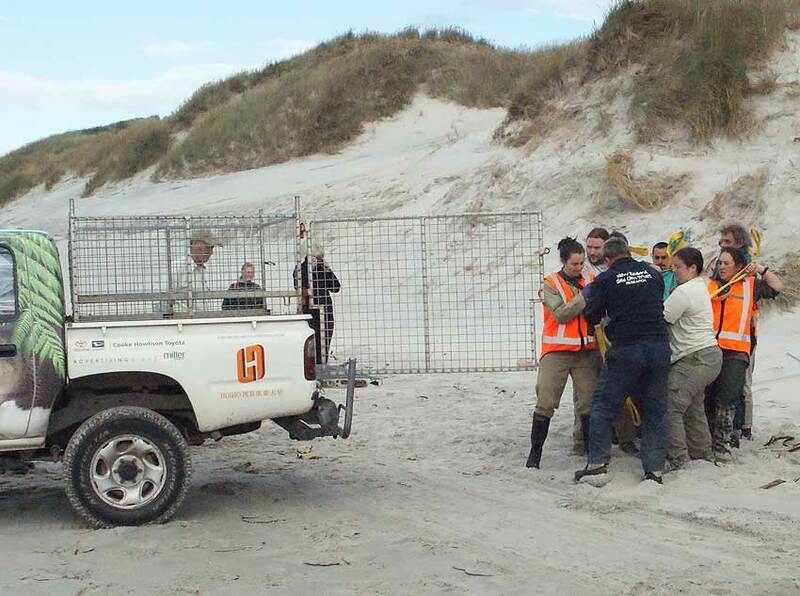 This involved Leone, and her pup Lorelie, who were moved from Smaill’s Beach. Like Gem, Lorelie was Leone’s first pup. Leone is now 16 years old and has raised 7 pups successfully. Lorelie is now 10 years old and has raised at least 2 pups successfully (that we know of). 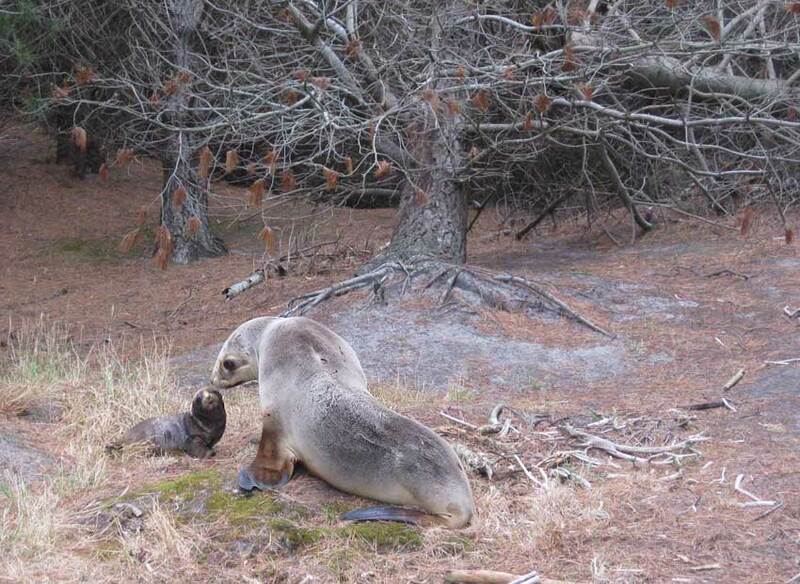 All the female breeding sea lions on the Otago Coast are descended from one female ‘mum’. 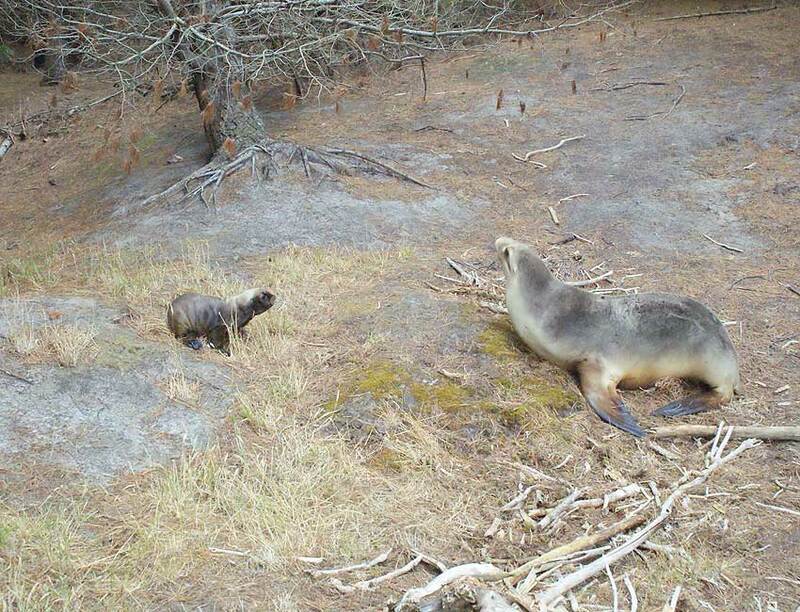 Check out the New Zealand Sea lion Trust website for the Otago Sea Lion Family Tree. 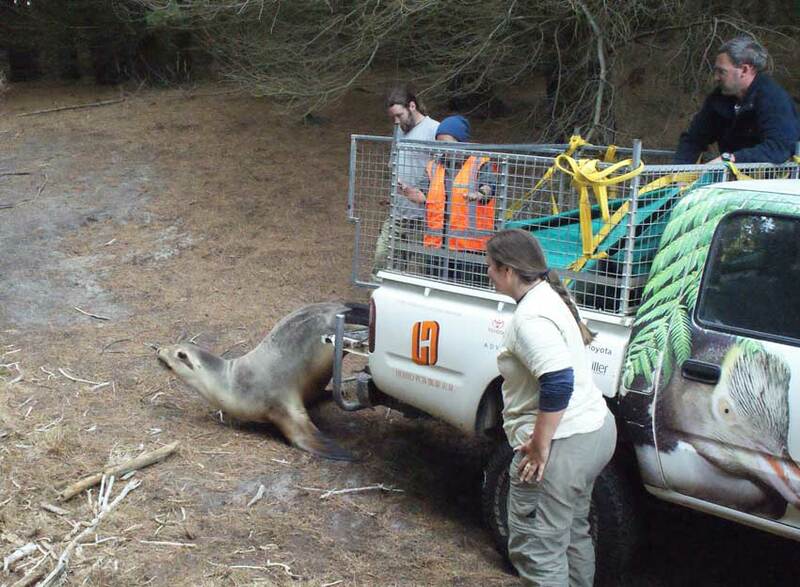 The New Zealand sea lion is listed as Nationally Critical, the highest threat classification in NZ – a status shared with kiwi and kakapo. 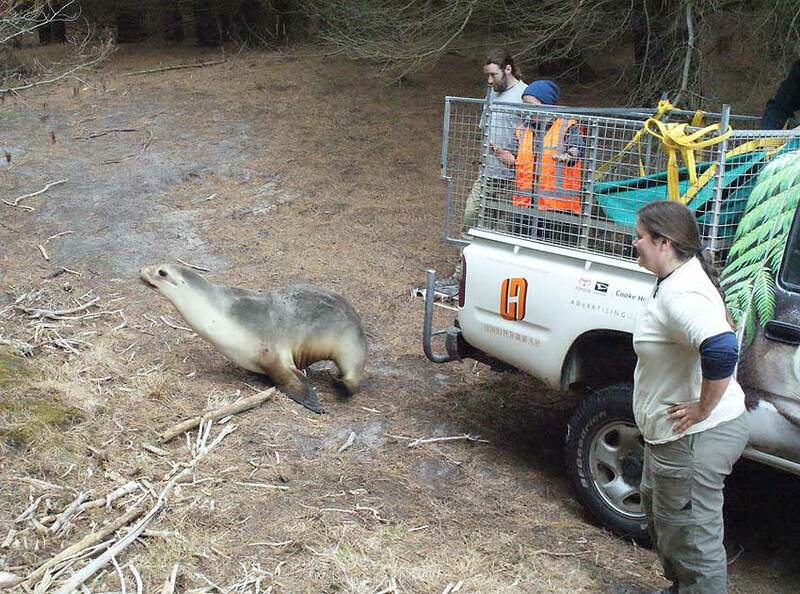 Breeding is mostly restricted to the NZ subantarctic, although a slow return to mainland NZ is now occurring. 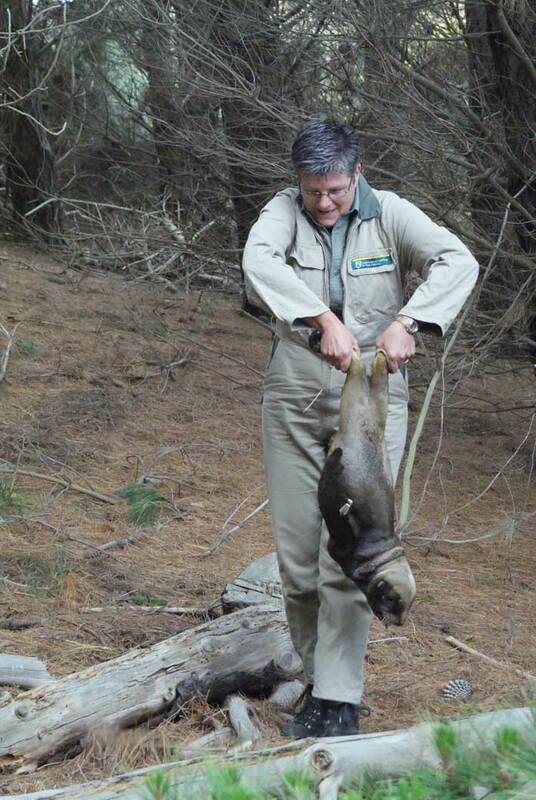 There are currently 8 – 10 breeding females in the Dunedin area.